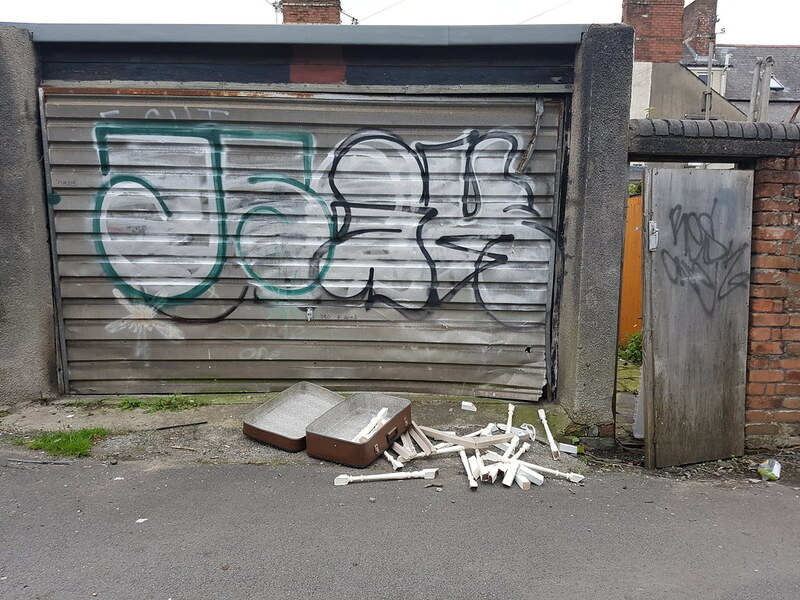 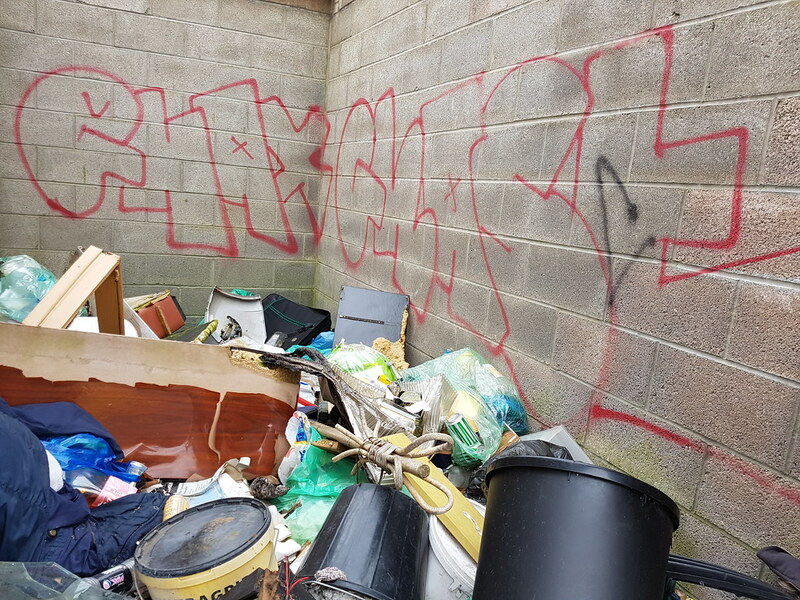 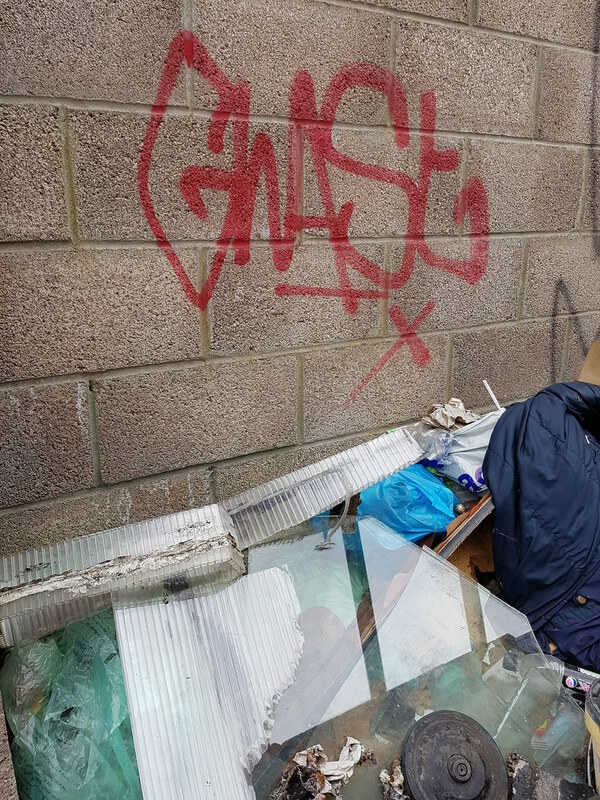 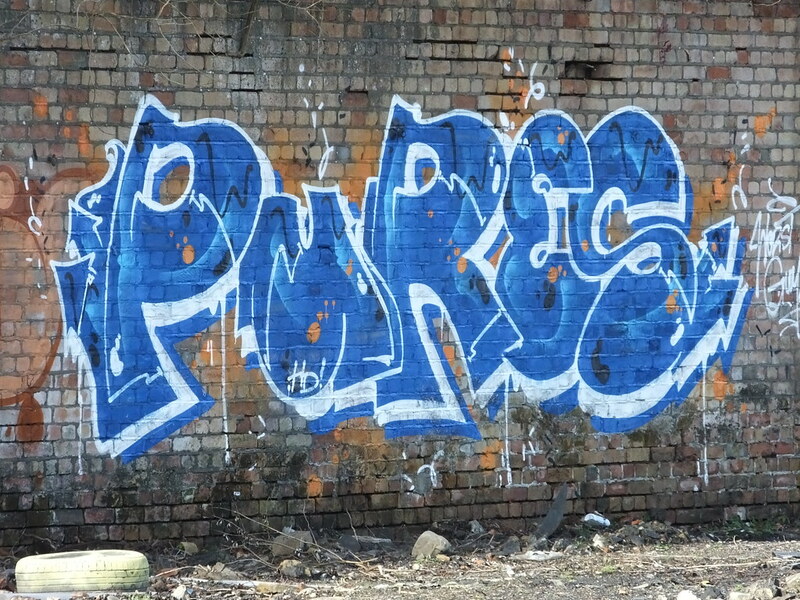 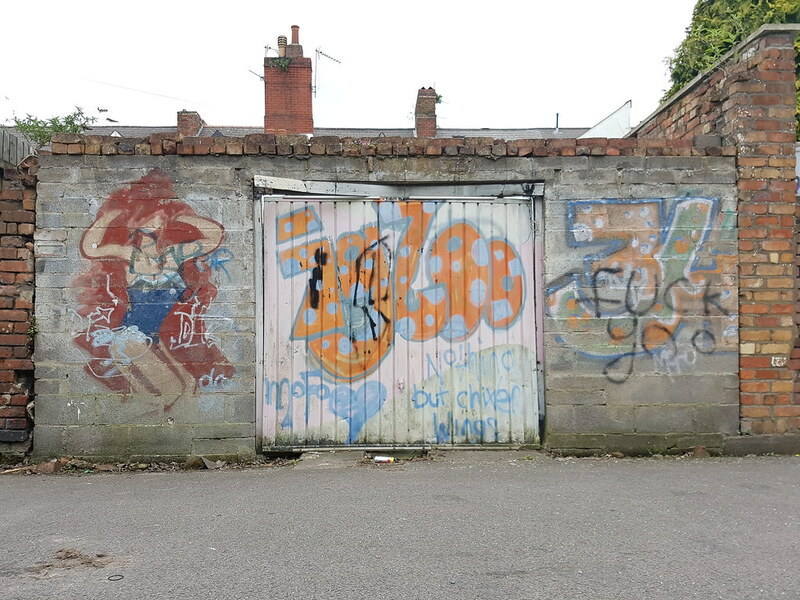 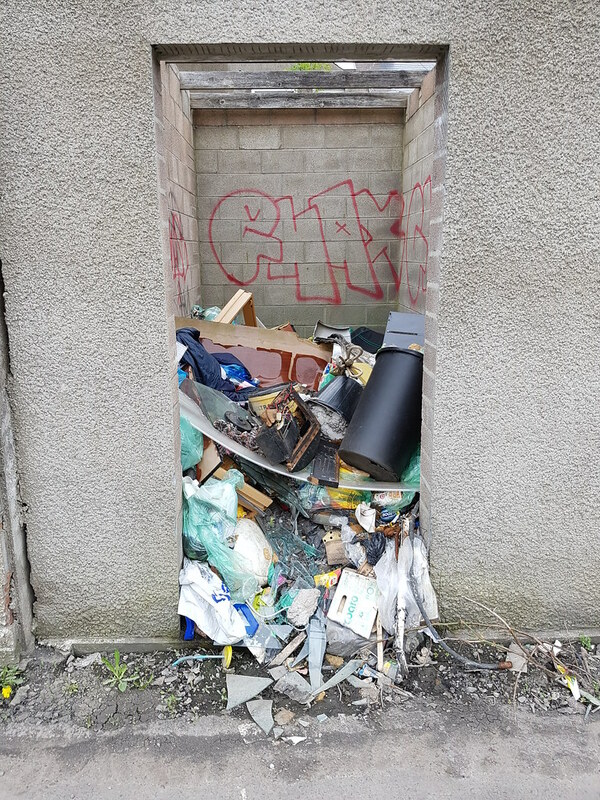 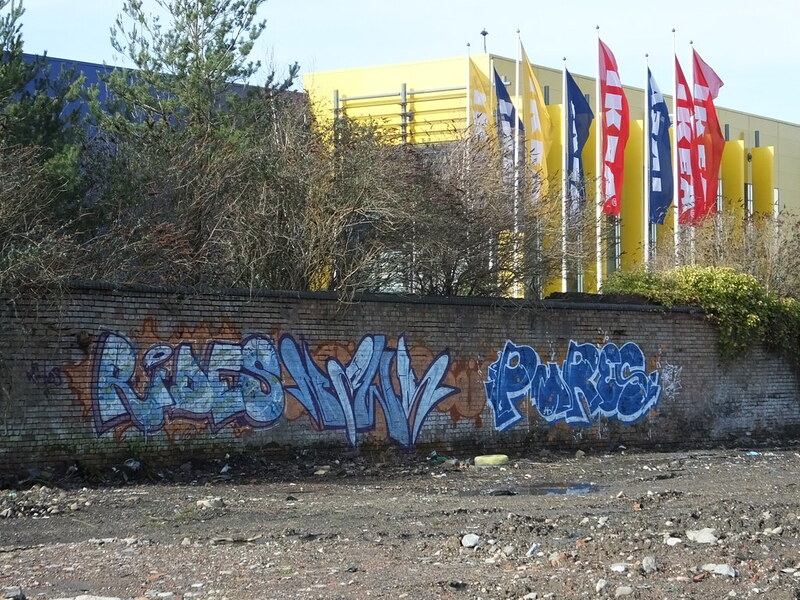 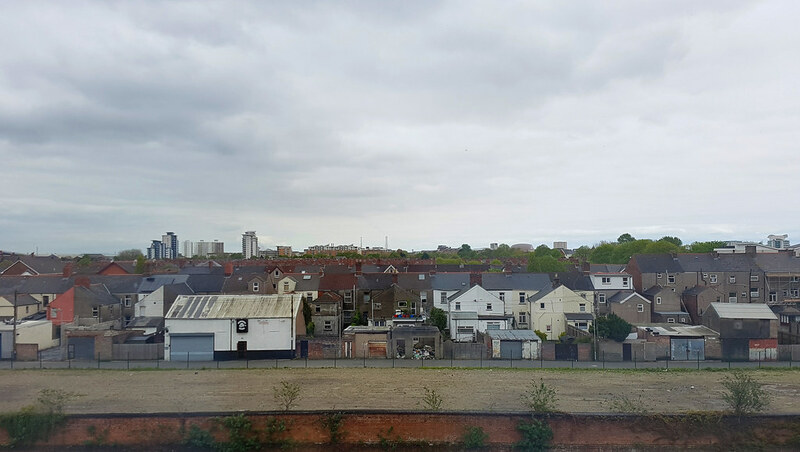 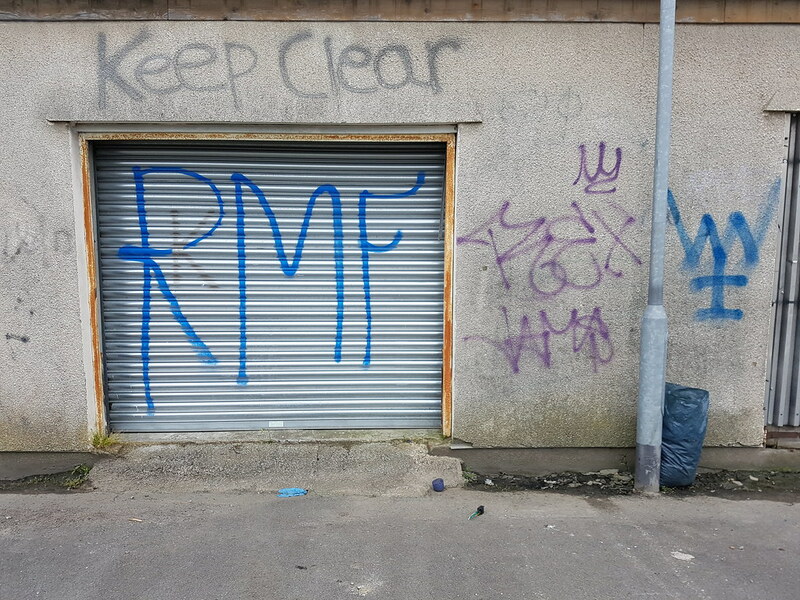 A typical view across most cities in the UK and a typical back street lane featuring rotting doors, car parts and rubbish – complete with a fair splattering of graffiti too. 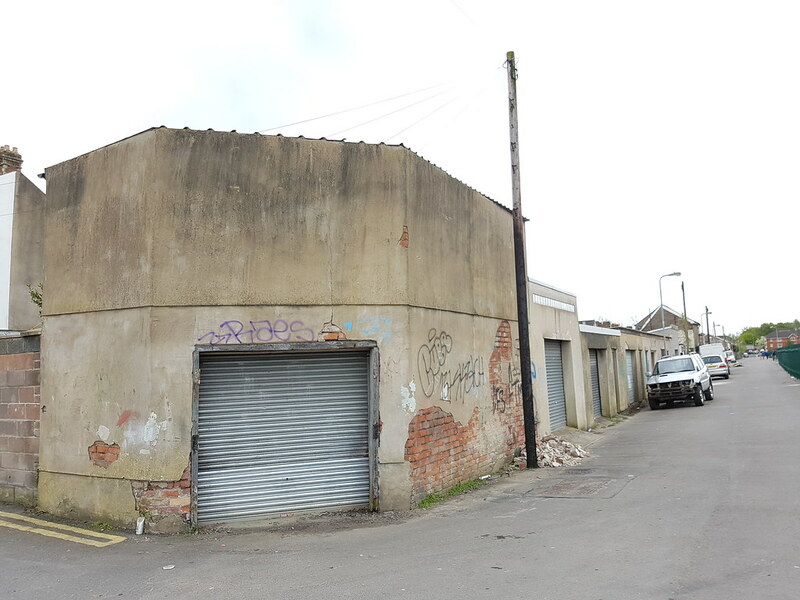 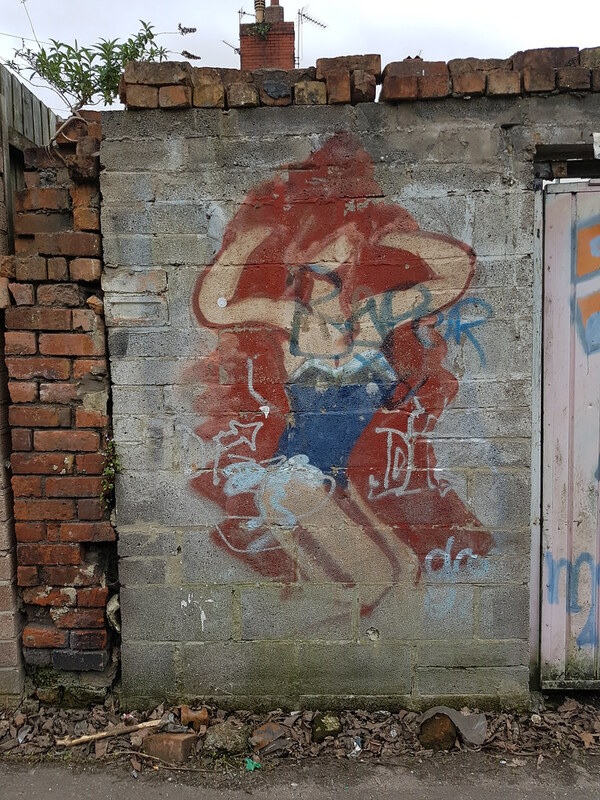 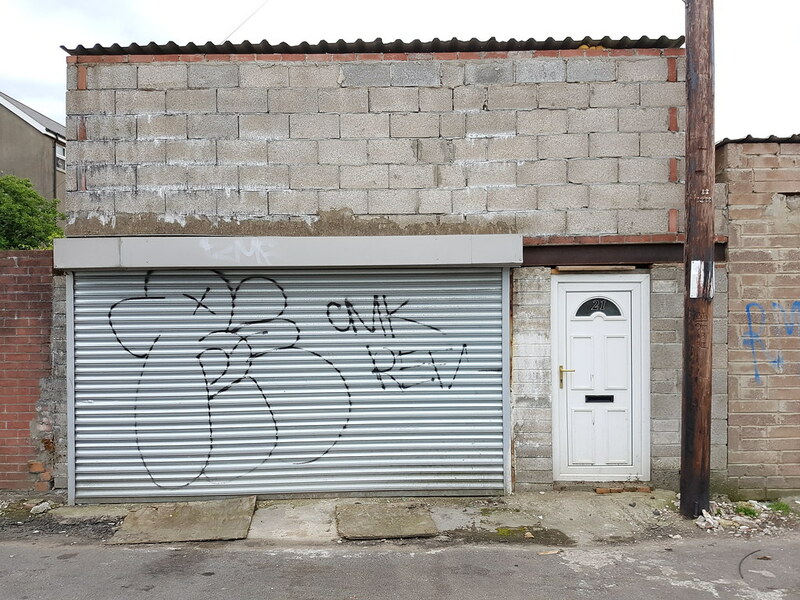 Larger than most, this back street lane in the Grangetown part of Cardiff, has attracted a variety of graffiti emblazoned on the crumbling walls and doorways. 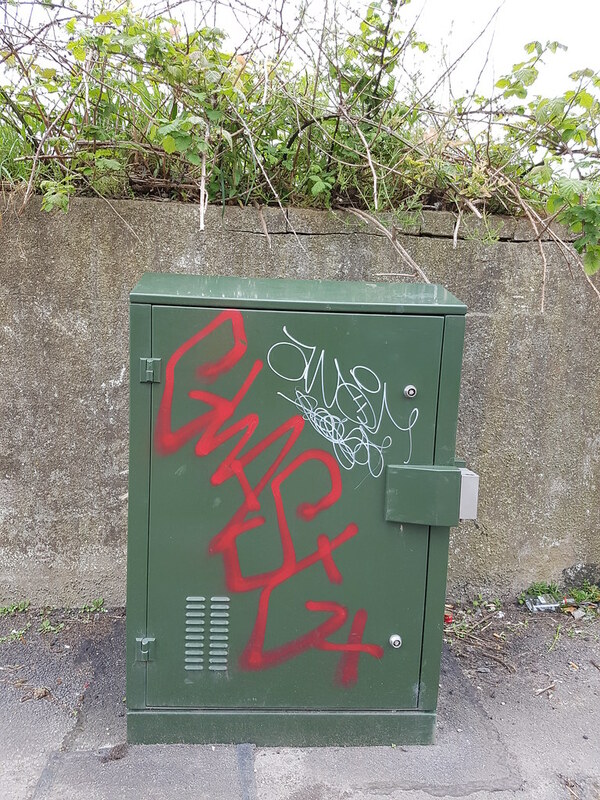 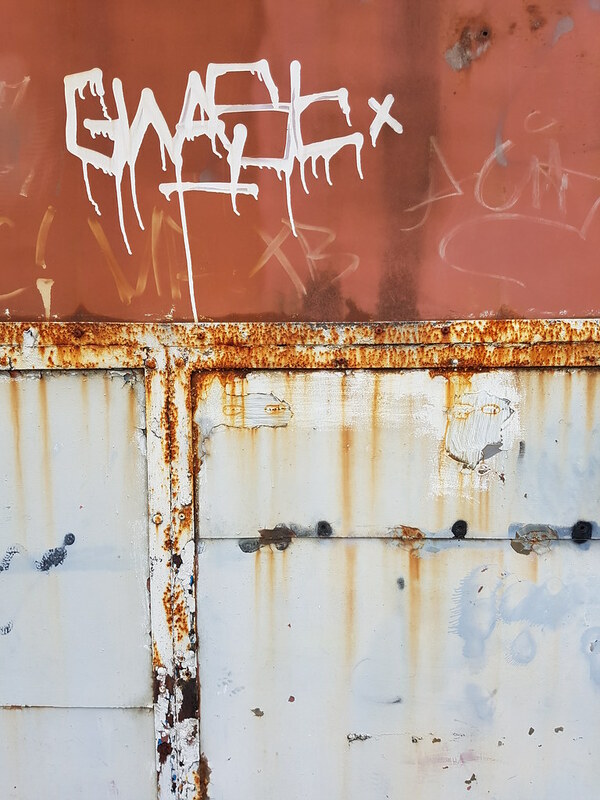 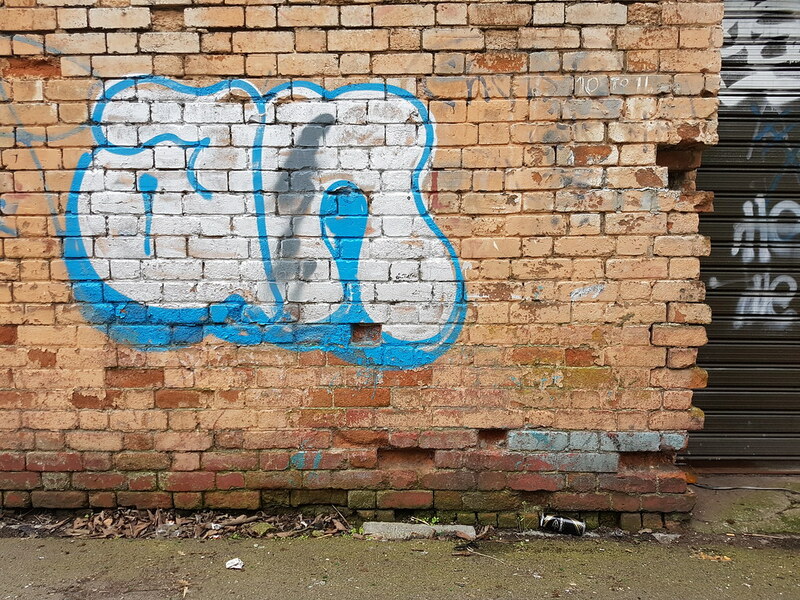 The tag ‘Ghast’ has been sprayed upon partially finished buildings, rusting doors and even a relatively new facility box. 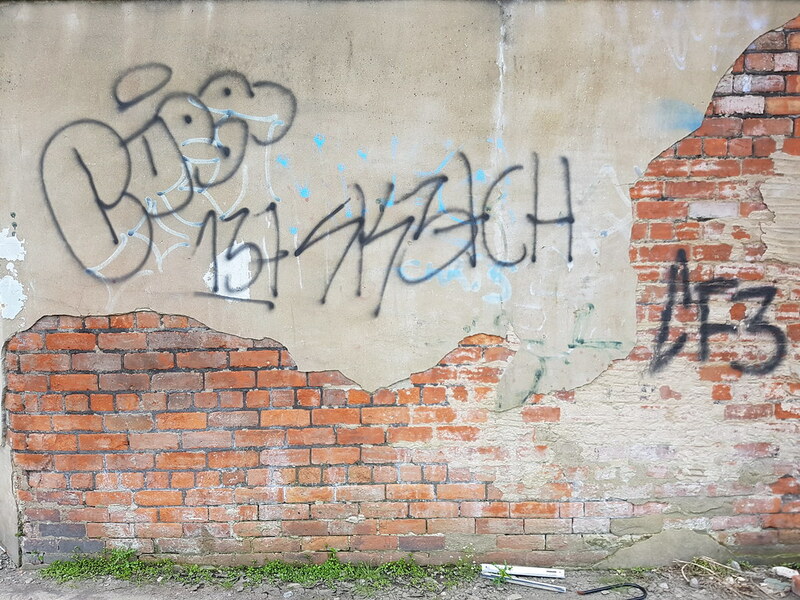 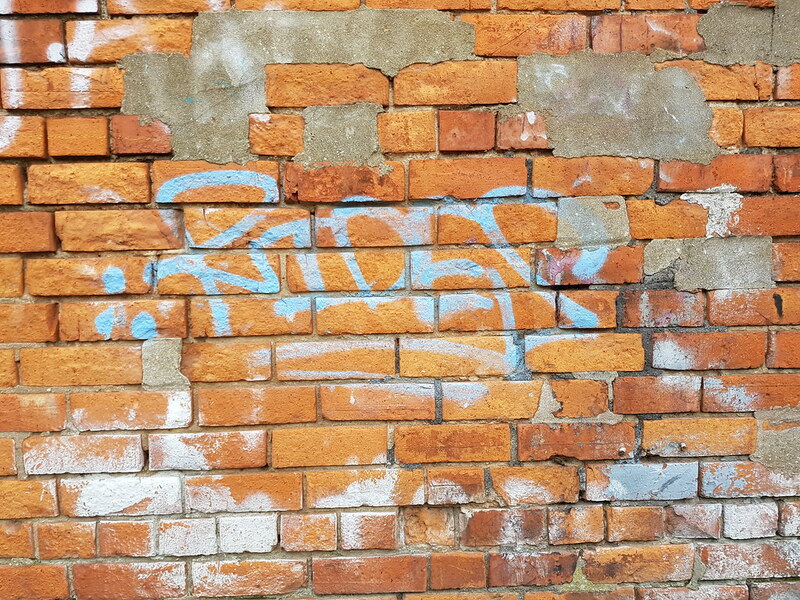 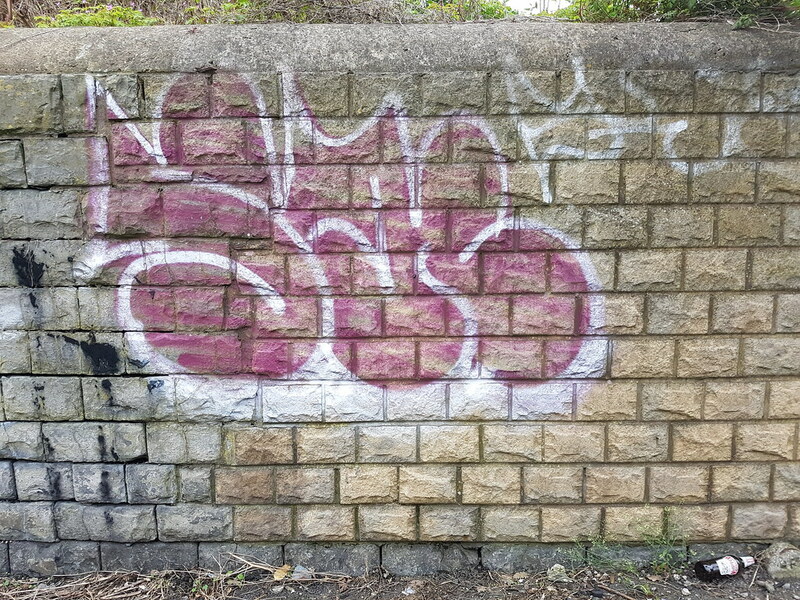 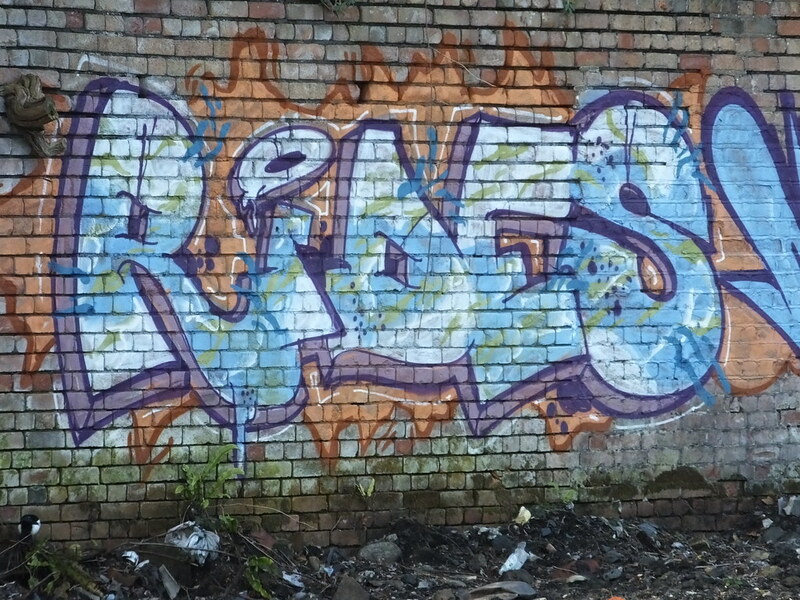 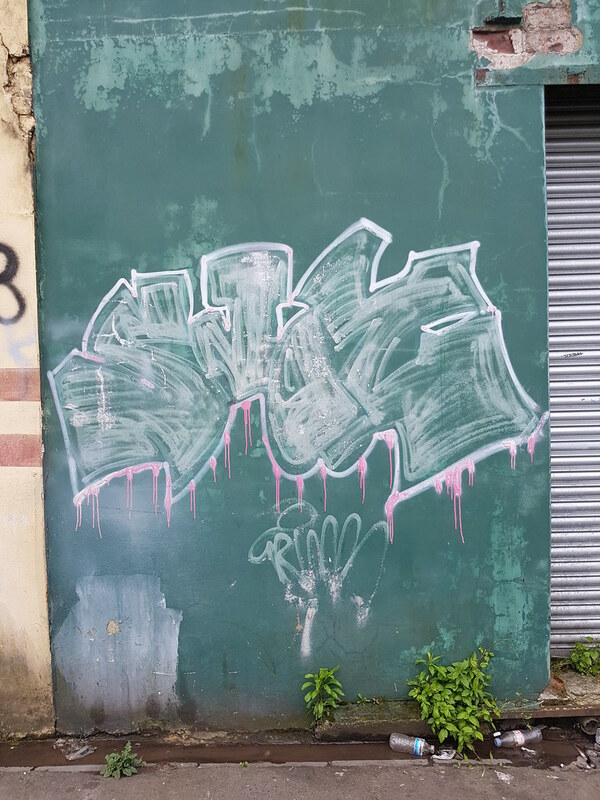 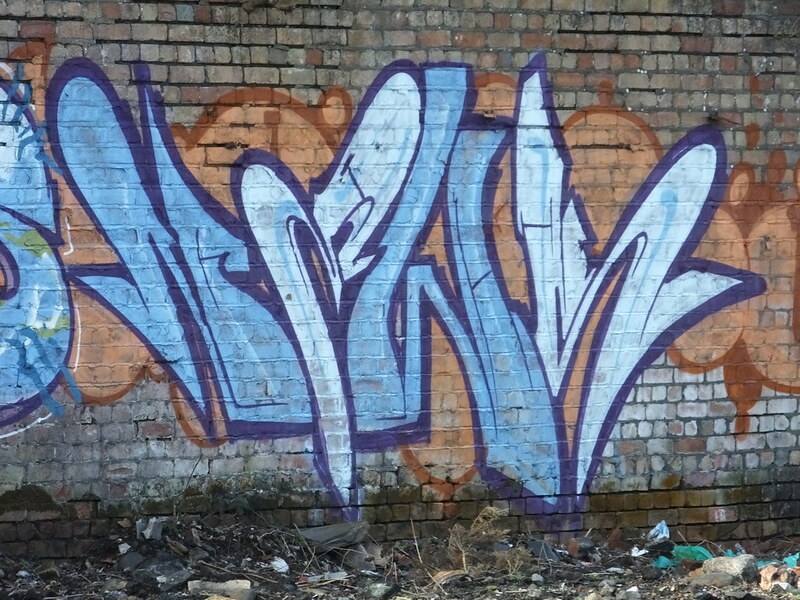 The lane runs parallel to Clive Street with a constant stream of graffiti along the route including more tags from Ghast and RMF. 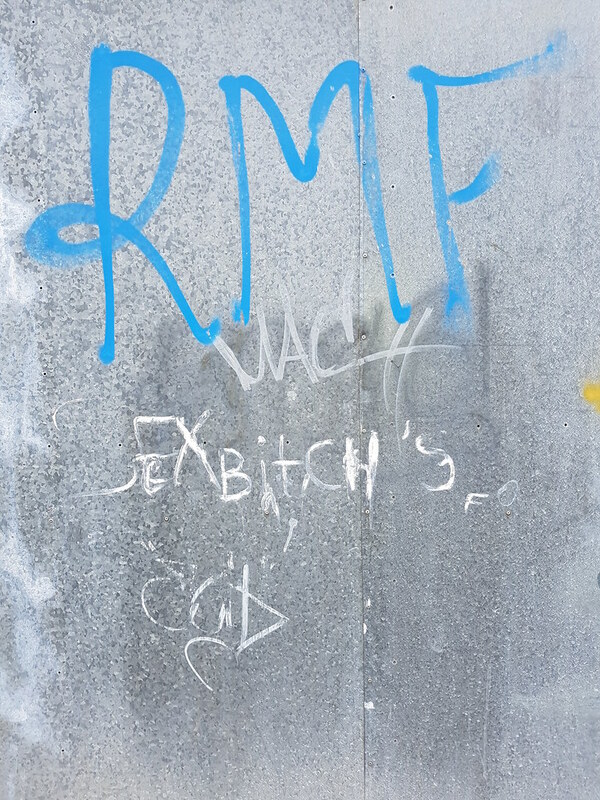 But not all the work is aerosol based with some old skool etching of words on the renderings of some walls. 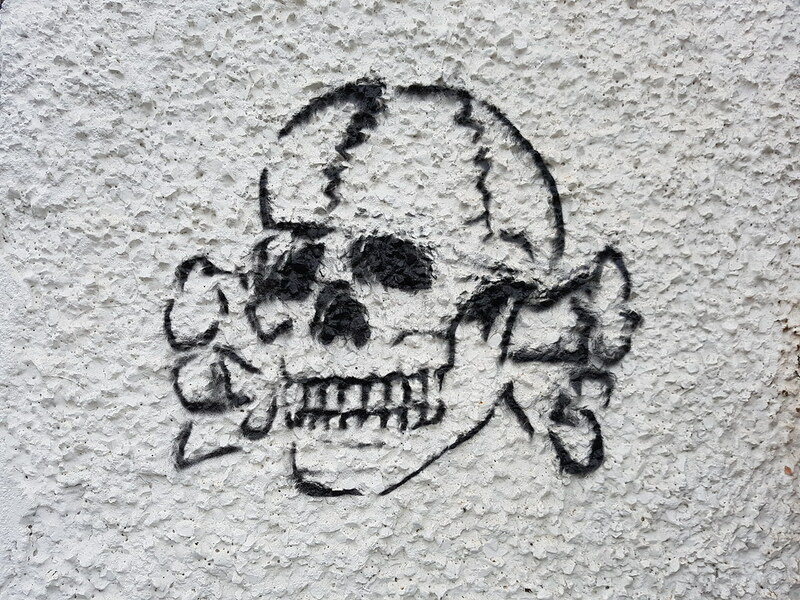 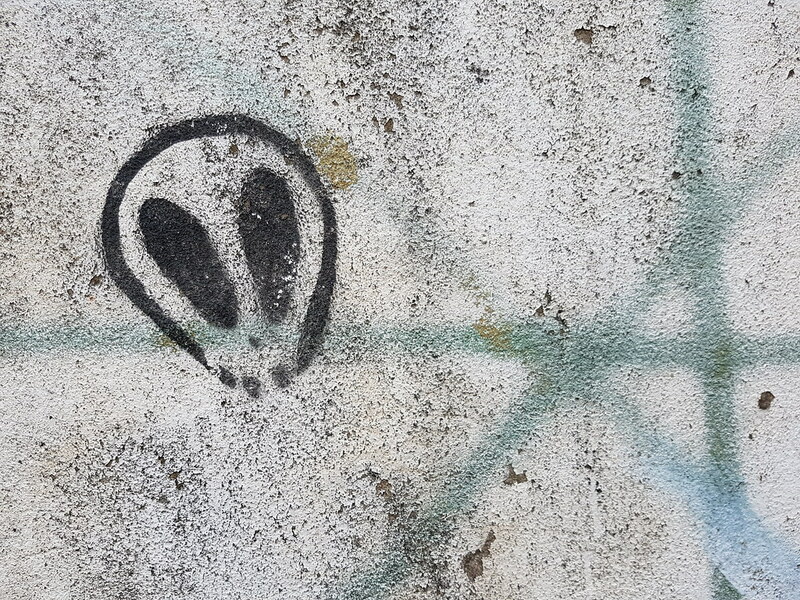 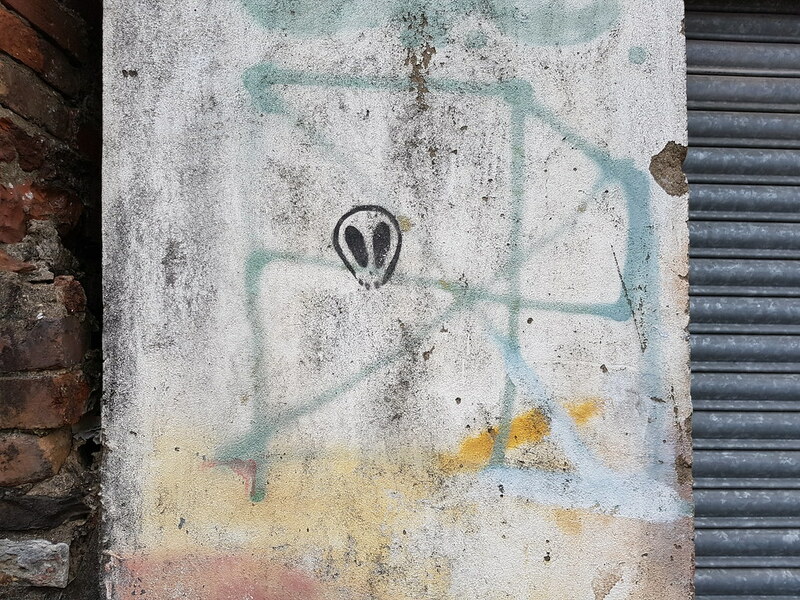 Other graffiti artists have opted to use stencils with this alien and skull popping up along the half a mile lane. 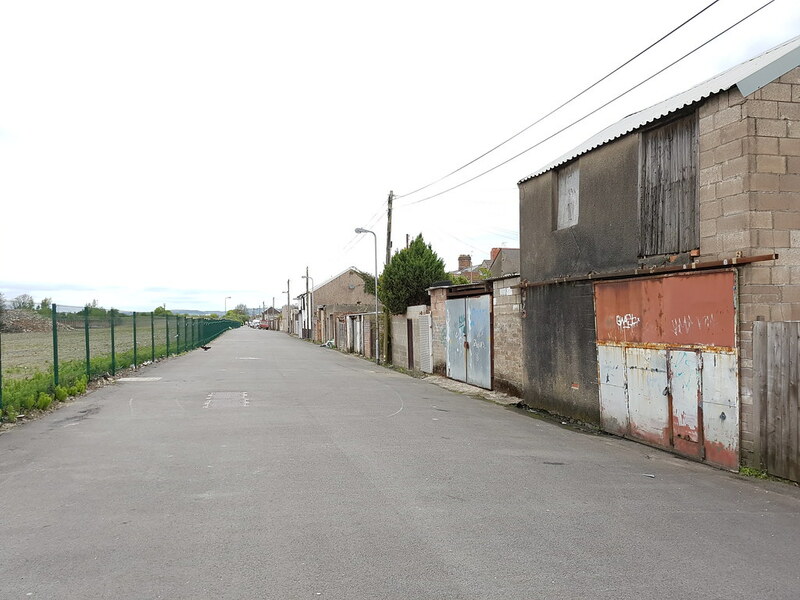 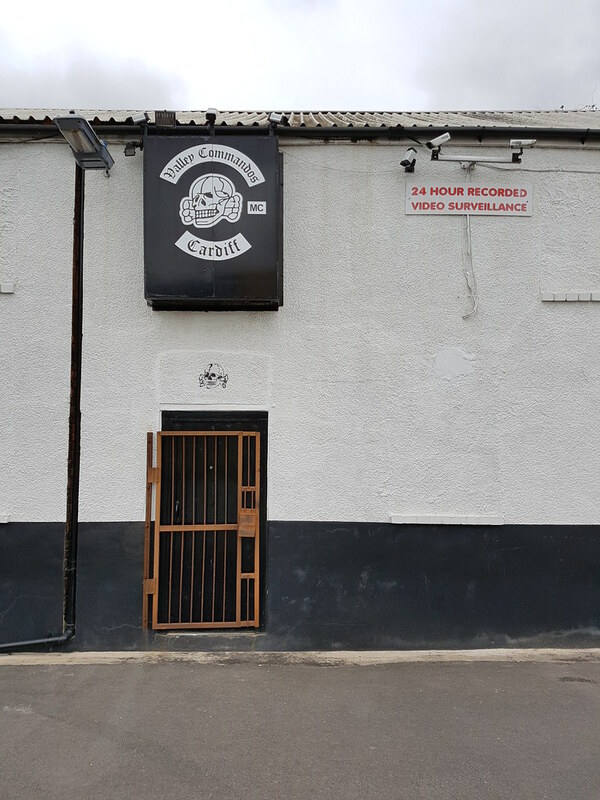 The lane is quite large and not only features the back of residential homes but also is large enough to house the odd venture like the Valley Commandos base. 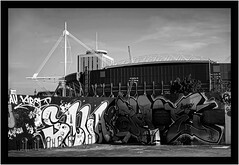 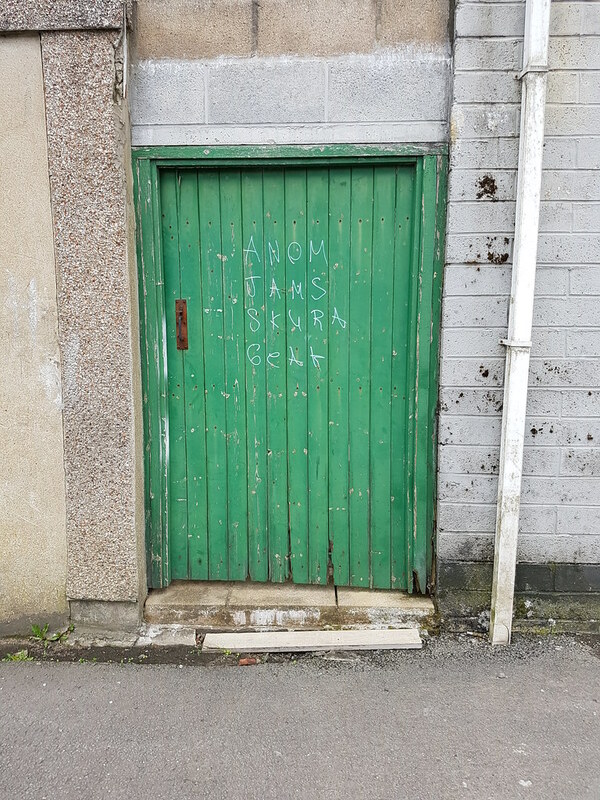 Graffiti writers have come and gone in Cardiff over the years where a walk down this lane is almost like a hall of fame with some older names mixing with the new. 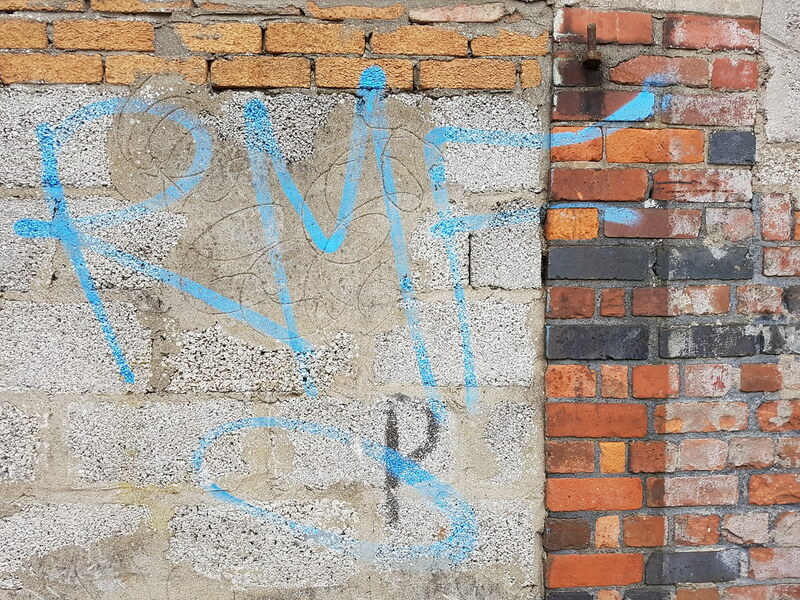 Some may be familiar with work from RMF, CMK, Jams and Raes. 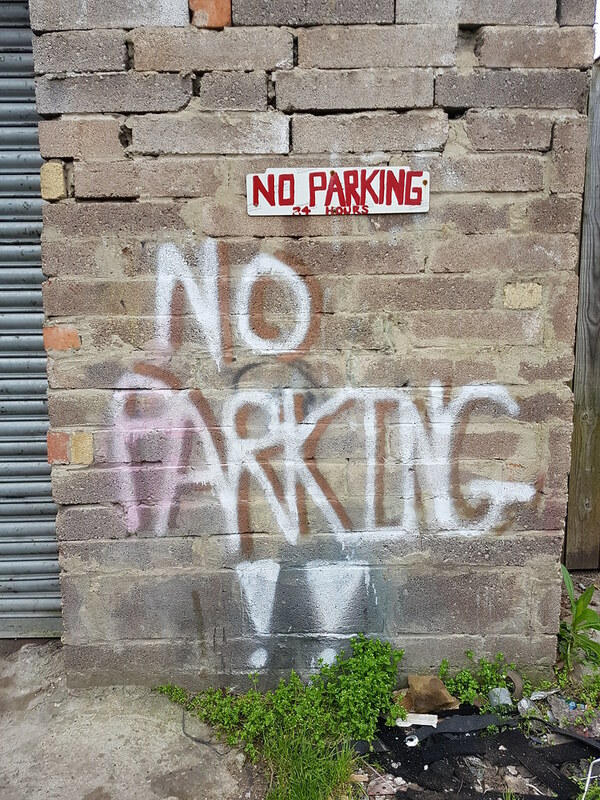 Littered amongst all the graffiti are also so-called legit ‘no parking’ signs too which seem to be an art form all of their own! 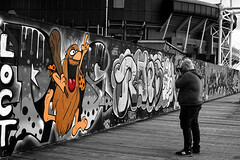 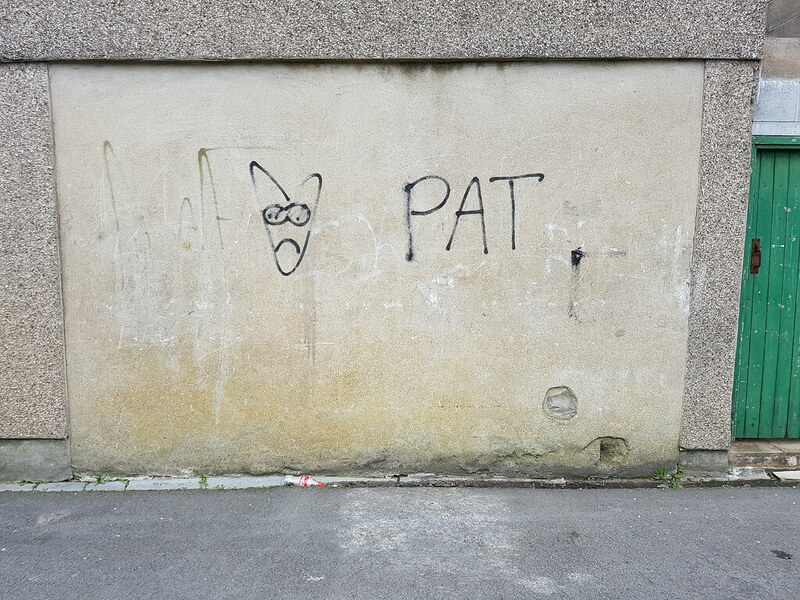 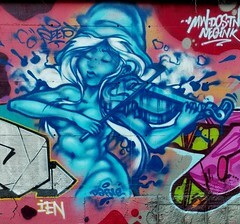 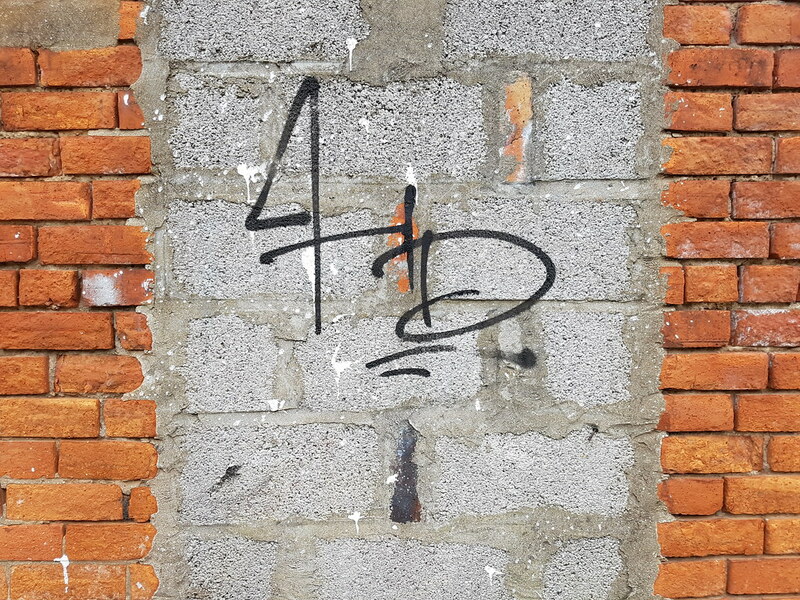 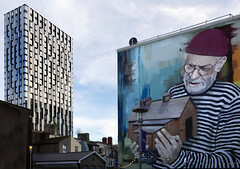 There is just such a variety of what could be deemed graffiti of all forms and all qualities. 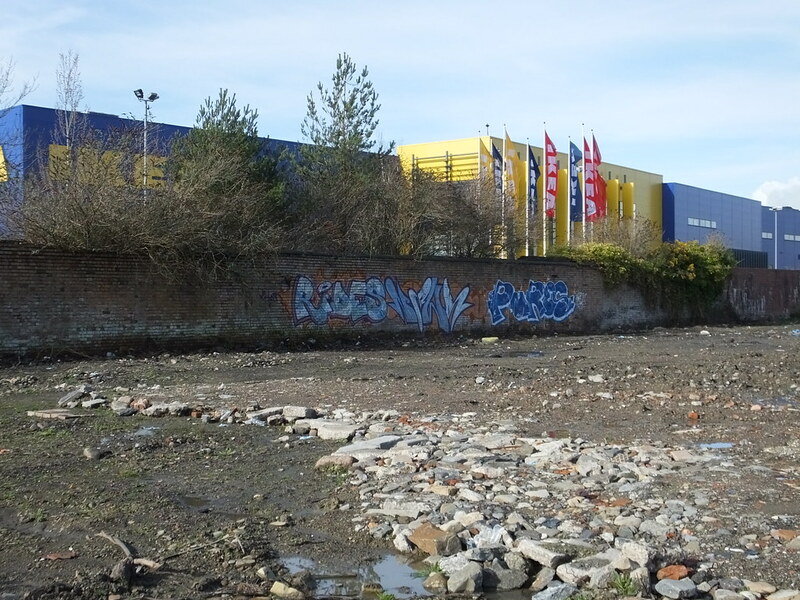 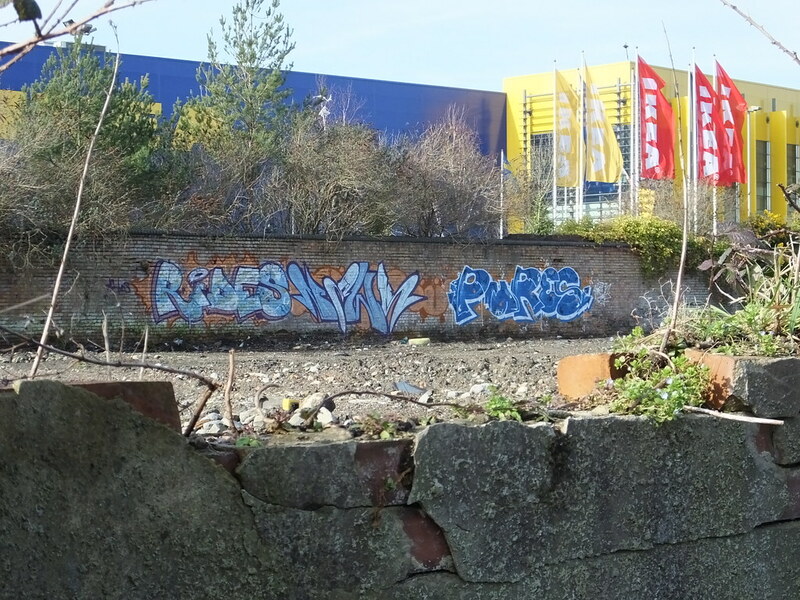 At one end of the lane an Ikea was built with some artists taking to the dividing bricked wall – Rides, News and Pures. 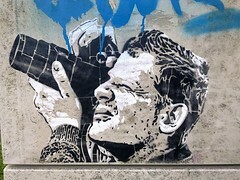 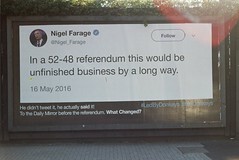 It’s always good to veer off the obvious route and to take an alternative path – regardless of how dodgy it may appear. 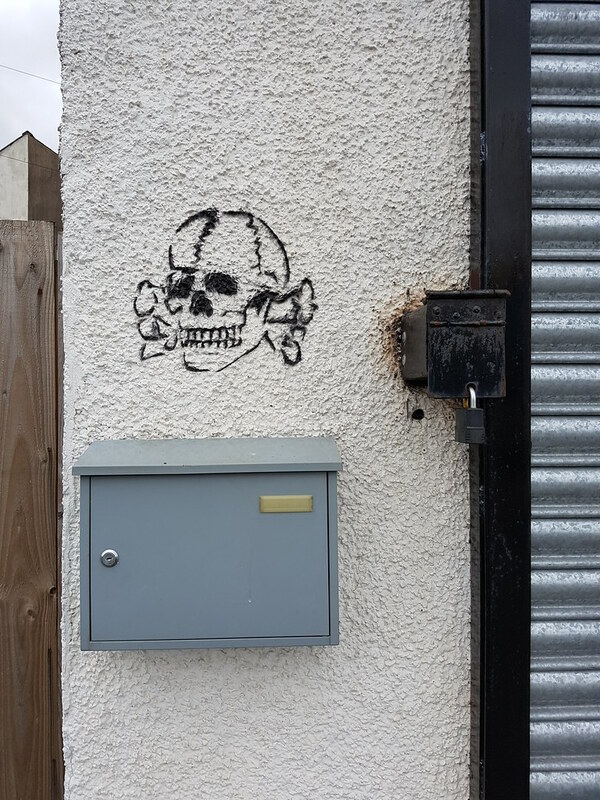 There’s always something interesting to find around most corners.